COLIN KOPACKO is a Mito Warrior. After years of searching for what was making Colin (and his little brother, Jesse) ill and unable to eat, doctors were finally able to diagnose the brothers with Mitochondrial Disease (a terminal illness) in November 2012. Mitochondria are in every cell in our bodies (except for red blood cells) and are responsible for making 90% of the energy our bodies need to live. Since this disease affects those mitochondria, it affects Colin's muscles, nerves, stomach, intestines, hearing, and lungs. 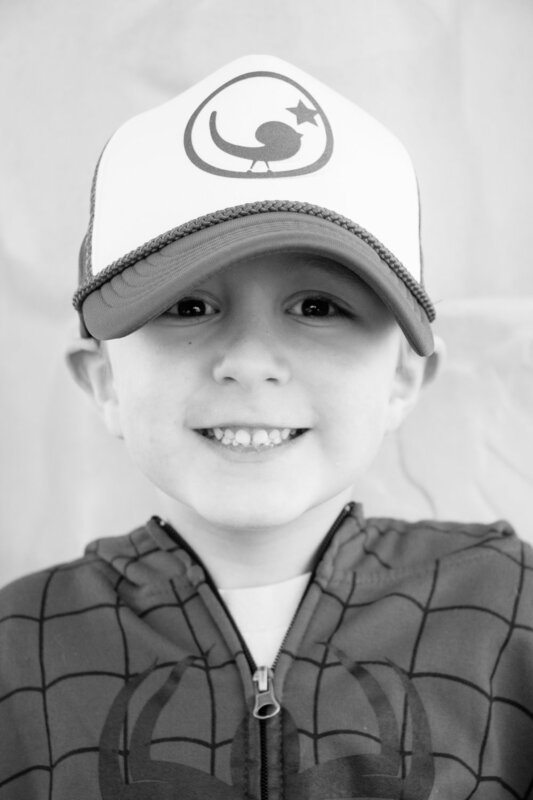 Driven to defeat the "germ in his belly," Colin has endured many surgeries, medical procedures, and hospital stays. Even with the long list of medical issues and daily pain he and his little brother face, Colin shows us all that life is amazing and so much fun! He is wise beyond his years and loves to tell jokes. While Mito may be stealing Colin's energy, he has not let it steal his joy as he and his brother show us what true courage is.